The time has come. Before we know it the leaves will be changing, the air will be crisp, and the gates to Scarywood will open once again. People from all over our region drive miles and miles just to be face to face with some of their greatest fears. Scarywood is gearing up again for another frightful season, with a whole new haunt in the works. A curse has been released, and you have been warned. Scarywood is one of the largest haunted attractions in our region and is one of a kind. 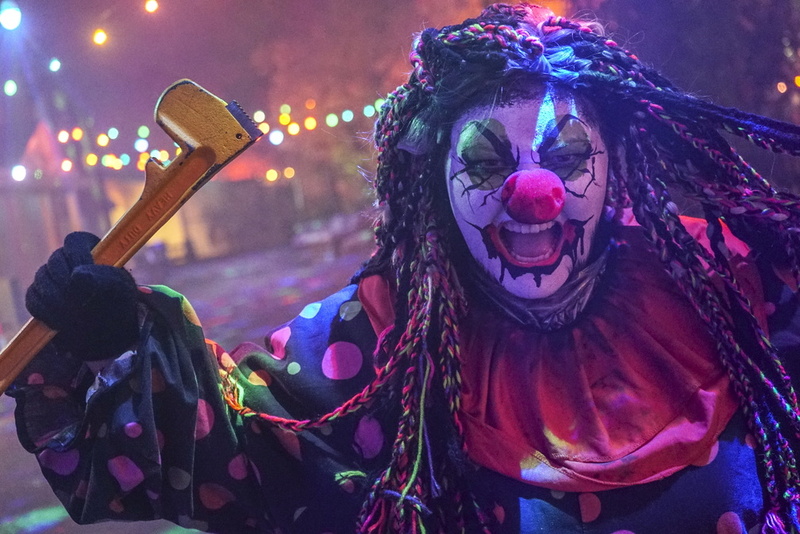 After the Silverwood Season ends, the park gets transformed into a haunted nightmare. Spider webs, hay bales, scarecrows, and fog as far as the eye can see. Scarywood consists of haunted attractions, 7 scare zones, and most of Silverwood’s signature rides in the dark. Try to survive the night because you’ll be lucky to make it out alive. It’s only August, and the questions about Scarywood have already been flooding in. We know that many of you have been looking forward to this for a long time, but just know that opening night is around the corner. Opening weekend this season will be September 28th and 29th, 2018. We will continue to be open Thursdays, Fridays, and Saturdays throughout October until the 27th. But to beat the crowds, try coming at the beginning of the season. 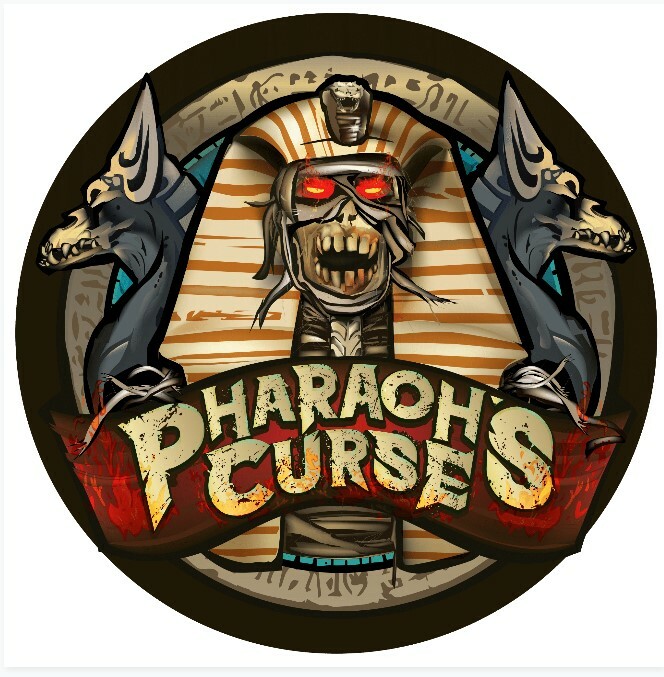 For the first time, Scarywood visitors will be able to explore the Valley of the Queens in the Pharaoh’s Curse attraction. Those who have robbed the scared splendors of the ancient Egyptian corridors have awakened the legion of the dead and all who enter the sacred tomb will forever be punished by the wrath of the undead. Torment and misery will come to those that trespass. You have been warned. To find the best prices on tickets, head to scarywoodhaunt.com. Purchase your tickets now and save $5. You’re safer if you travel in groups, right? Even if your not, you can qualify for a discount if you come with 25 or more people. Call our group sales team today to book your team building group, fraternity reunion, or a friend encounter in the fog. To request information about booking a group to Scarywood, head here. One of the best parts of Fall is all the food! Caramel apples, kettle corn, hot chocolate, and funnel cakes are just some of the killer treats that you can find. We also offer cotton candy, cookies, brownies, rice krispy treats, and licorice. If you wanted to grab some dinner before the treats, we have transformed some of our usual food vendors into spooky stations. You can grab pizza at Purgatory Pizza, cheese quesadilla at Dead End Café, as well as hot dogs and chicken strips throughout the scare zones. Be careful with that bite, it might be your last. Costumes, masks or face painting are not permitted in Scarywood to ensure the protection of our actors and guests. Scarywood is not recommended for any children under 13 years old. However, it is the parent/guardian’s decision if they want to bring their child to Scarywood. You will not be allowed to leave the park at anytime during your visit to Scarywood and reenter. Do you plan on coming to Scarywood this Fall? Share your excitement below in the comments! I’ve never been to Scarywood. Plan to try it this year! Will the train be operating during Scarywood this year? It was a huge disappointment it wasn’t last year. The train will not be operating this season. We had to many complications and complaints with that attraction. We have a new attraction this year, along with a haunted NEW magic show featuring Nick Norton. Plan on going to scary wood this year. Can’t wait for Scarywood. Always go in summer, this will be a spooooky experience. Love Silverwood and Boulder Beach for the kids. I have never been to Scarywood but maybe this is the year for grown up fun. I went to this event 1 year ago.! It was such an amazing experience. I very much recommend taking the time & $ to go. You will NOT ave disappointed. your web page and thus far? I amazed with the analysis you made to make this actual publish incredible. I enjoy the information you present here and can?t wait to take a look when I get home.